If you thought there was just one way to use Dermalogica’s cult favourite exfoliator namely Dermalogica Daily Microfoliant, then think again. We’ll show you three different ways of using the modern day, all-rounder, non-abrasive, powder exfoliator to suit your skin type. Buff, polish and resurface your skin without peels or lifts this festive season with this skincare gem. Of course it would work better when paired with Dermalogica Facials at the salon where a skincare analyst would determine your skin type BUT it’s any day better compared to the run-of-the-mill, grainy, apricot kernel based drugstore ‘scrubs’ that can actually scratch your skin and cause damage. It’s basically a dry exfoliator containing rice, papain enzyme and salicylic acid. What makes it different is it’s ability to slough off dead skin cells without being abrasive on the skin at all, making it suitable to be used on sensitive skin and oily skin types as well. It’s potent formula works at microexfoliating the skin where it not only polishes the top layer of the skin but reaches the epidermis where it unclogs pores, encourages collagen and elastin formation and promote skin cell renewal. You can use it on it’s own as a dry exfoliator by massaging it between your fingers, applying some water to activate the formula and then massage it in circular motion on the face. This should work well if you have normal to combination skin type. If you have oily skin, you can actually mix a little bit of daily microfoliant with a salicylic acid face wash. These are usually gel based and will provide a lovely texture for you to be able to massage the exfoliant well on your skin. If you feel using daily microfoliant is a little dry for your preference, this method of microfoliating your skin will work just fine and will be suitable to use as a morning pick me up. Try keeping your morning cleanser in the refrigerator overnight for a refreshing, cooling feel. If you have more of a dry skin type, we recommend mixing some daily microfoliant with a cream based or balm cleanser. The emollient texture of these cleansers will provide the perfect base for daily microfoliant to mix into and go on the skin smoothly without any tugging or pulling. The oils from your cream or balm based cleanser will still provide hydration and prevent skin from drying out. Whereas the added dose of daily microfoliant will ensure your skin also receives exfoliation alongside. 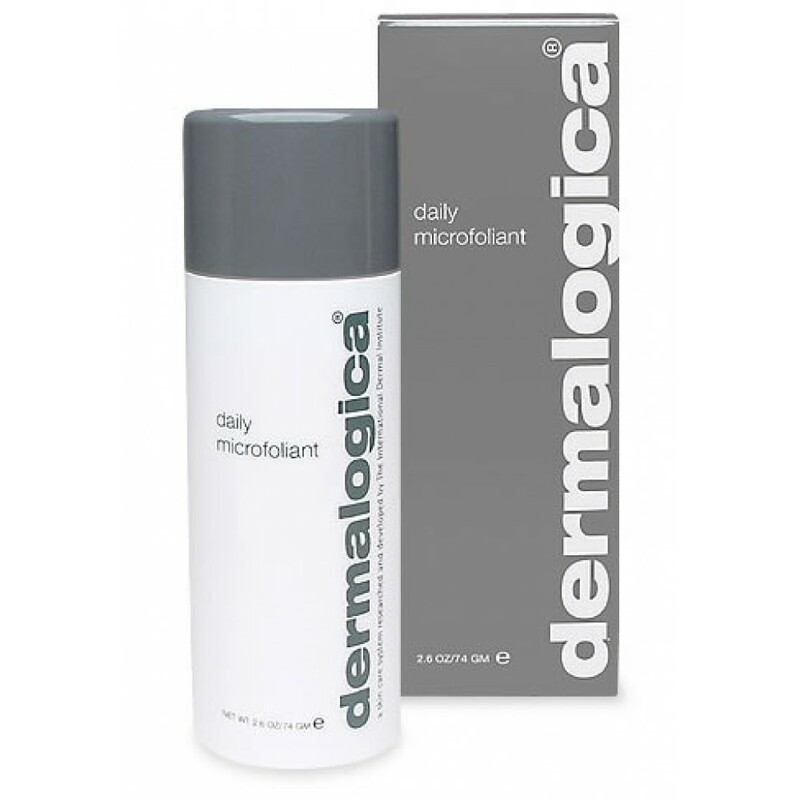 Regardless of your skin type, this is how you can adapt Dermalogica Daily Microfoliant to be resurfacing exfoliator suitable for your current skin condition.